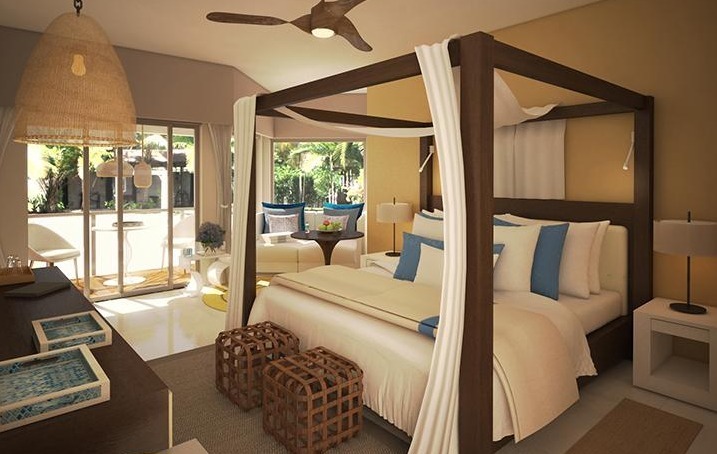 Junior suites at Zoetry Montego Bay feature one king-size or two double beds, a private balcony with Whirlpool, and either garden or ocean views. Zoetry Montego Bay opened in January 2017, on a private beach in Montego Bay, Jamaica. Zoetry resorts are known for their boutique, upscale feel and this resort is no exception — there are just 49 suites, with mini-bars refreshed twice daily, Bvlgari® bath amenities and 24-hour room service. Guests can also enjoy organic dining options and a lazy river flowing throughout the resort. The resort’s suites are situated in three main buildings: Wood & Water, Bamboo and Blue Mountain. Each suite has a private balcony or patio with a Whirlpool. Swim-out suites to a private pool. Zoëtry Montego Bay offers four à la carte gourmet dining options. An assortment of organic food and local ingredients are incorporated into each dish. Options are available to suit all dietary needs, including gluten-free, vegetarian and vegan. A highlight is Castilla, serving tapas and small plates. There are three bars at the resort, plus a juice bar in the spa. Activities at Zoetry Montego Bay include yoga, meditation, wine tasting, movies on the beach, and non-motorized water sports. There’s a large spa offering body treatments and salon services. Zoetry Montego Bay is located 10 minutes from Sangster International Airport (MBJ) in Montego Bay, Jamaica. For more information, visit Zoetry Montego Bay’s website.